Amway, founded in 1959, is an American company which focuses on manufacturing and selling primarily health, beauty, and home care products. Its product lines include home care products, personal care products, jewelry, electronics, Nutrilite dietary supplements, water purifiers, air purifiers, insurance, and cosmetics. Amway was ranked No. 26 among the largest private companies in the United States by Forbes in 2012. Despite the seemingly stellar reputation, Amway uses multi-level marketing (“MLM”) to market its products throughout the world. MLM is a controversial marketing strategy and any companies who use it are subject to criticisms and lawsuits. Do you want to build a family, own cars, and own landed house? Do you long for financial freedom? How much do you earn annually as an employee? It’s not much, isn’t it? Then, when would you realise your dream if you continue working as an employee? You waste your time and effort, mate! Let me show you below framework to open your mind. Employees work for company and they exchange their time and energy with fixed-income salary determined by their employer. Self-employed persons work for themselves and has the ability to determine their worth. It is generally a one man act. Business owners create their own businesses and have smart people to run the companies for them. Investors own assets that generate money for them. This is also called passive income. Employees and self-employed persons work hard to make the business owners and investors richer! How does that make you feel as an employee? 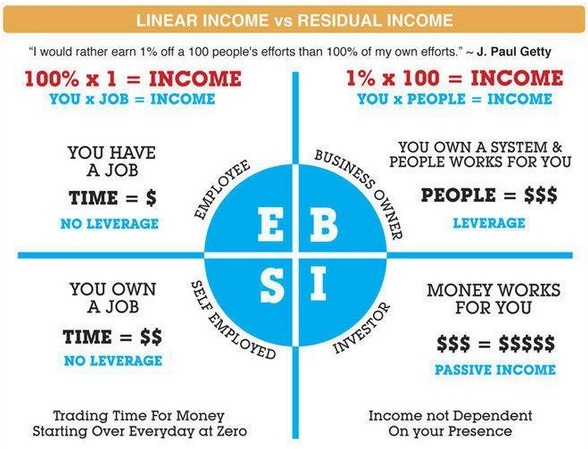 The only way to attain financial freedom is to move from the left quadrants (E & S) to the right quadrants (B & S). One easy way to do that is by joining Amway! Having a family consists of mostly entrepreneurs, I am a firm believer that you have to run your own business to become rich. However, it requires capital, skills & expertise, and network to run a business properly. You are also exposed to various risks by becoming a business owner. Examples: lower demand of products, naughty suppliers, default customers, defective products, and labour turnovers. Many businesses fail and have to be shut. Despite what the prospectors insist and the cool title Independent Business Owner (“IBO”), I do not consider joining Amway or any other MLM businesses as becoming an entrepreneur. You do not own any system. You also do not employ any people. Your downlines work independently and are compensated by Amway, not you. You are self-employed, direct-selling Amway products on a freelance basis. You are still on the left quadrants. Amway sells a wide range of every day products with globally well-known brands. Assume a household spends $100 every month for their daily needs. Revenue of $100 per month does not sound very much, right? However, imagine if there are 200 households. You will generate revenue of $20,000 per month! Moreover, this revenue recurs because each household needs to replenish their stocks. In a conventional supply chain model, wholesalers and stores take a big chunk of margins before the products eventually reach the end consumers. As Amway’s IBO, you replace the role of wholesalers and stores; thus, qualified for that big chunk of 30% per products. All for yourself! Back to our previous assumption, you can generate net profit of 30% * $20,000 = $6,000 per month. Doesn’t this sound attractive? To increase profitability, you can either increase revenue, or cut costs. As an IBO, your costs cannot be adjusted because Amway supplies its products at fixed prices. How could you increase revenue then? You can either mark up the selling prices, or increase the quantity sold. Marking up would lead you to losing consumers because the market is efficient. i.e. Amway sets the suggested retail price (“SRP”) for the world to see. Therefore, you are left with the sole option to sell more products. What are the selling points of Amway products? Are they appropriately priced and would you buy them at SRP? How many people currently use the products? Would they switch buying the Amway products from their existing distributors to you? Would they switch from their current brands? How much in average will people spend to buy Amway products each month? Do not just swallow what the numbers blurted by the prospectors. From my observation, Amway does not sell a very large range of products. I only use its Glister toothpaste which costs approx. $10 for 2~3 months usage. I will not use its make up products because my skin is sensitive and I will not bear risks of switching brands. I have no interest in consuming their supplements. Since I am not thoroughly convinced with the Amway products, I decide not to join them. Are you convinced with the products’ marketability? Does it worth the effort selling door-to-door? Consumer who buys stuff from the entrepreneur and getting ripped off 30% for every products bought. Smart shopper who can buy products at distributor’s price (30% off SRP). Entrepreneur who makes profit by directly selling the products to consumers. Conveying the differences in above manner makes the consumer option unfavourable. If you are the customer of Amway and constantly buy their products, becoming the smart shopper is more sensible choice. Why would you want to get ripped off by the entrepreneurs? However, let’s see from the other perspective. If all customers want to become at least smart shoppers, what are the benefits of becoming an entrepreneur? I have yet to digest the complex compensation structure of Amway. However, I am pretty sure you will be compensated for how many people you have signed up. There is the catch, though. To be eligible for compensation, your downlines need to fulfil many requirements, one of which is volume requirement. 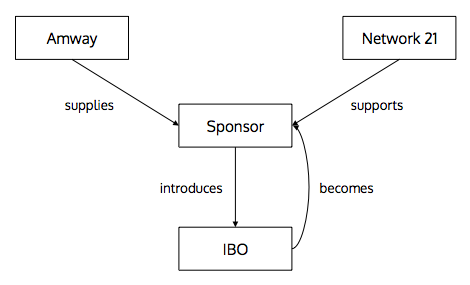 With this arrangement, each IBO ends up focuses on recruiting people rather than actually selling the products. Network 21 is a training and support method for distributors working with the Amway business. It was founded in 1990 by Jim and Nancy Dornan, Amway distributors. It is an independent entity from Amway. Your dream. Why do you join Amway? See where the toxicity lies? You are encouraged to create potential customer list out of your family, neighbours, and friends. Furthermore, Network 21 also teaches you to make an appointment under guise of business opportunity because MLM gets such a bad rap. I would suggest you not to contact your closest ones under any guise and approach them extra carefully. You can do whatever you want to strangers (subject to your conscience). Do not listen to argument that said good family and friends must support your business, thus it is fine to burn bridges with those who do not support you. 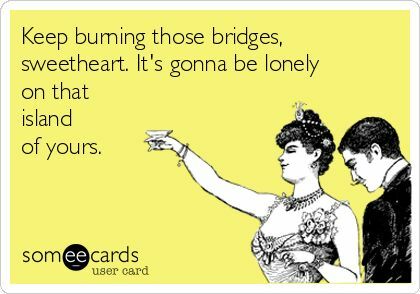 It is easier to burn bridges than to regain the trust you lost. I personally blacklist all acquaintances who set me up to an MLM introductory session under the guise of catching up or the so-called business opportunity. It is really a waste of time and energy! You will be encouraged to purchase the tools regularly in order to be successful. I do not believe that you have to purchase all the CD and books; as well as attend all the meetups regularly to succeed. CDs are released every month. They will charge subscription fees for the CDs. Be real! It is hard to believe that they would have fresh materials every single month for 20 years since their founding. Similar case with books and meetups. Materials are recycled just to rake in continuous money. My friends who attended one of the meetups told me that he felt like in a brainwashing session. Do you want to learn how to make a pitch to your prospect clients? You do not need Network 21. I was approached by Amway distributors twice. Despite how I feel that the pitch is great initially, this pitch feels memorised and nothing is original the second I listen to it. Network 21 craft the script and distribute it across IBOs. I can recite most of the pitch without having to attend any of Network 21 meetups. Their final goal of the 1st appointment is to invite you to one of Network 21 meetups. They would not force you to join Amway immediately. Note that joining Network 21 is actually not compulsory! Nothing is Impossible: Financial Freedom! Costs only $7.6 for year 1, $3.8 p.a. for year 2 onwards. No need to manage the manufacturing, R&D, logistic, inventories, and setting up a store. It can be anybody! No worries you can learn in no time through Network 21. Flexible working hours and workplace. Despite you are not exposed to above mentioned risks, you are still exposed to single supplier concentration risk. The future of your business is essentially controlled by Amway. Any change in compensation structure, product pricing, distribution rights could affect your income stability adversely. Would you call that financial freedom? Skills are definitely required to become a successful IBO. Not technical skills, but social skills. Just like a salesman, you need to know how to approach people, pique their interests, and pitch confidently. Capital, in some sense, is also required. Impressive background and good appearance build instant credibility when pitching. It is hard to believe that Network 21 would have fresh materials every single time a tool is released. From my view, it is just their way of raking in profits with the constantly recycled materials. Holding meetups frequently are also very profitable for them. Infonite conducted weekly. Attended by 100 participants. Provides information for new joiners about Amway and Network 21 in a comprehensive manner. Business Building Seminar (“BBS”) conducted monthly. Attended by 1,000 participants. Network Building Training (“NBT”) conducted monthly. Leadership Seminar (“LS”) conducted 1x in 4 months. Attended by 7,000 participants. Looking at the price tag of LS, we can easily imagine how massive and profitable the meetup is. Every 4 month, Network 21 would generate $350k of revenue which could easily cover all the expenses required to hold the event. The profits most likely being enjoyed by all the high achievers in the organisation. Verdict: Is Amway a Scam? In my opinion, it is not a scam. Amway has a legit business model, or otherwise it would have been shut down. However, many IBOs sugarcoat facts and lead you to burn money in unnecessary motivational products. Some people consider this as a scam, especially when they are not successful. I agree it is an unethical practice. If you want to join Amway, you should be fine if you have conducted due diligence and prepare a strategy. Do not join if you do not have the “IT” to survive in the scheme. No one can ever succeed in any kind of roles. One Response to Reality Check on Amway: Is It a Scam?